This is our standard coaches trunk. 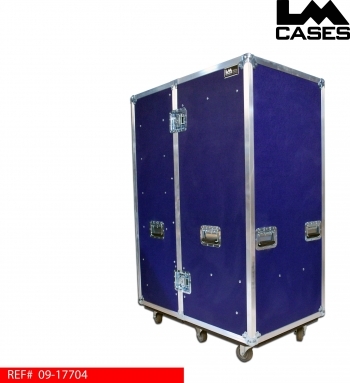 The case is built out of 3/8” plywood with your choice of laminate colors (dark blue shown), and outfitted with recessed hardware and 3.5” casters. A variety of options are available including, fiberglass laminate options, composite panels to replace traditional plywood panels, upgraded casters including large diameter field casters, vents, trap doors, and silkscreens. 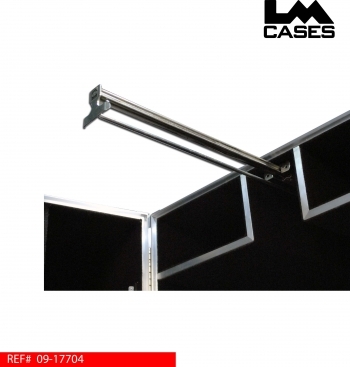 All of our cases are built per order, one at a time; if there is a custom option that you would like to add it can be applied during the design phase of the ordering process. 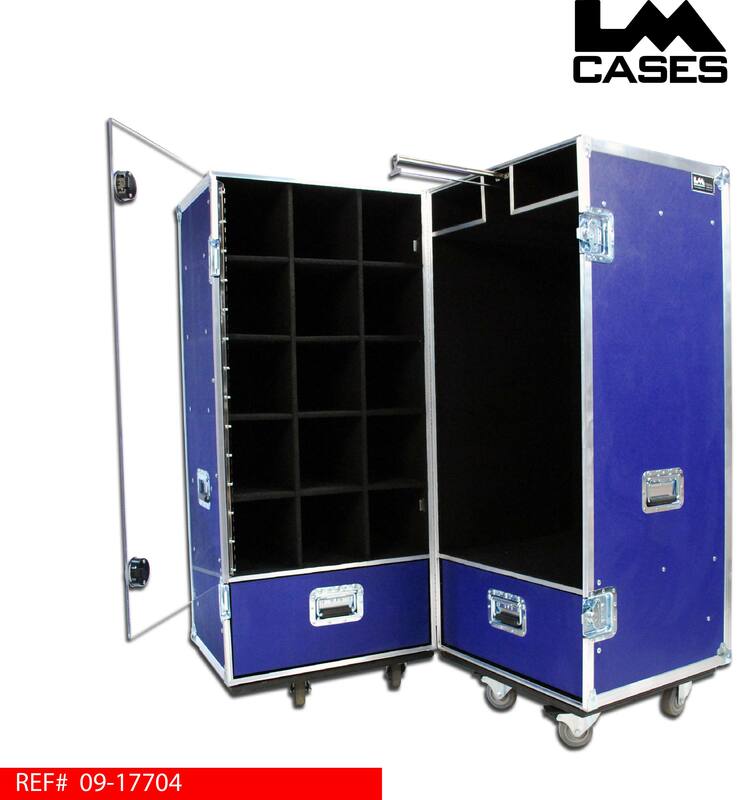 The standard case comes with a storage area with a 15 separated compartments for shoes or other misc items. This storage compartment is covered with a clear Lexan door to keep its contents from migrating to other parts of the case during transport. 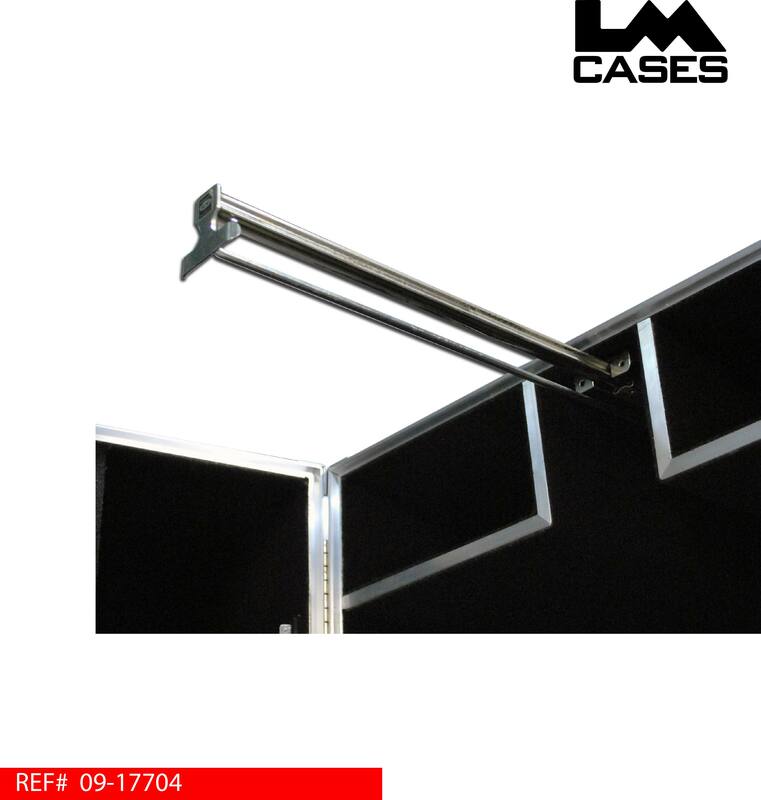 The right side of the case features a hanging clothes bar that pulls out to allow easy access to all hanging clothes. Each side of the case features a drawer built of 1/2” baltic birch and mounted on heavy duty Accuuride drawer glides. All cases are custom. If you can dream it, we can build it!